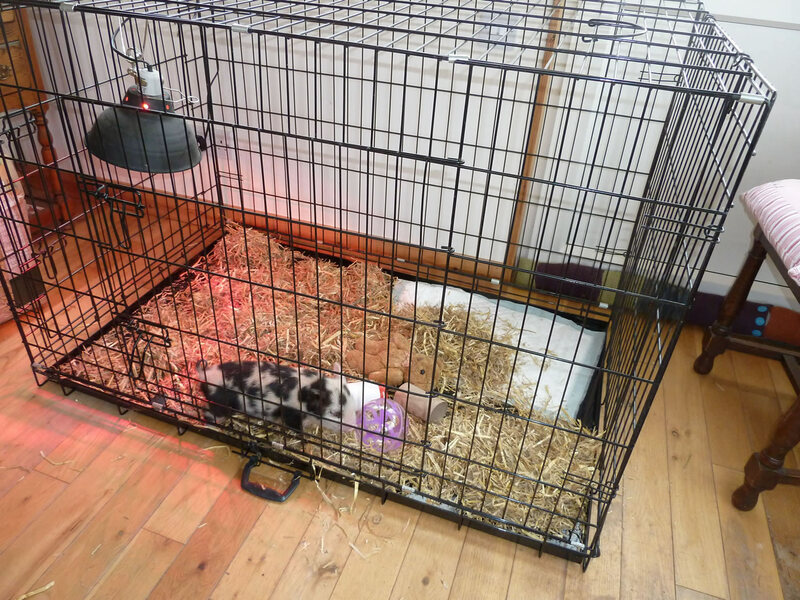 Picture of Geordie our 11 day old pet pig - now moved to a bigger cage in the conservatory. 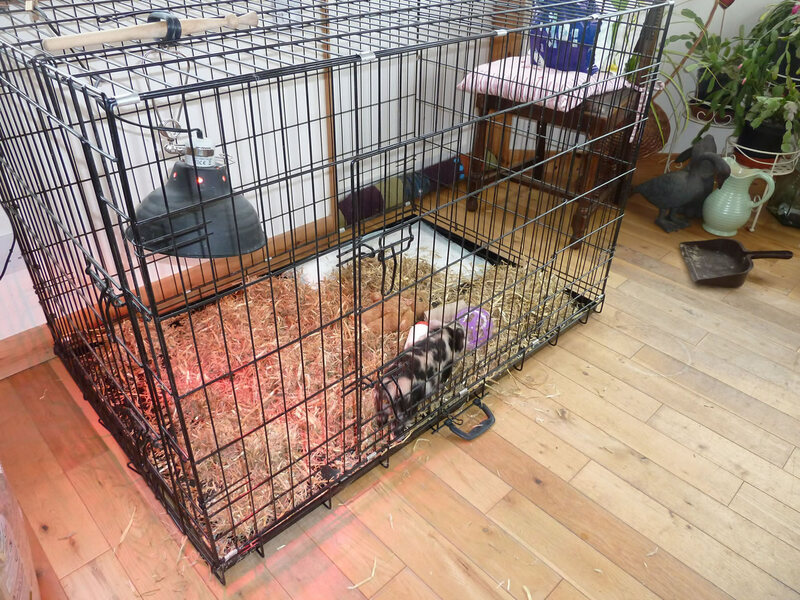 While Geordie only has humans and a couple of dogs for company we did try and enrich his cage environment as he could not be left out of the cage when we were busy doing other things, working on the croft or out shopping. Se we gave him a small ball to play with, a teddy bear to snuggle up to, and even a used toilet roll to - roll about. He definitely seemed happy having more space to run around in. I realise many people do not agree with hand raising a pig by hand, they maybe believe it is better to let nature takes it course. I am certainly glad we put in the effort to hand raise Geordie, and as he was always going to be a pet there was no harm in him getting very close contact with people. 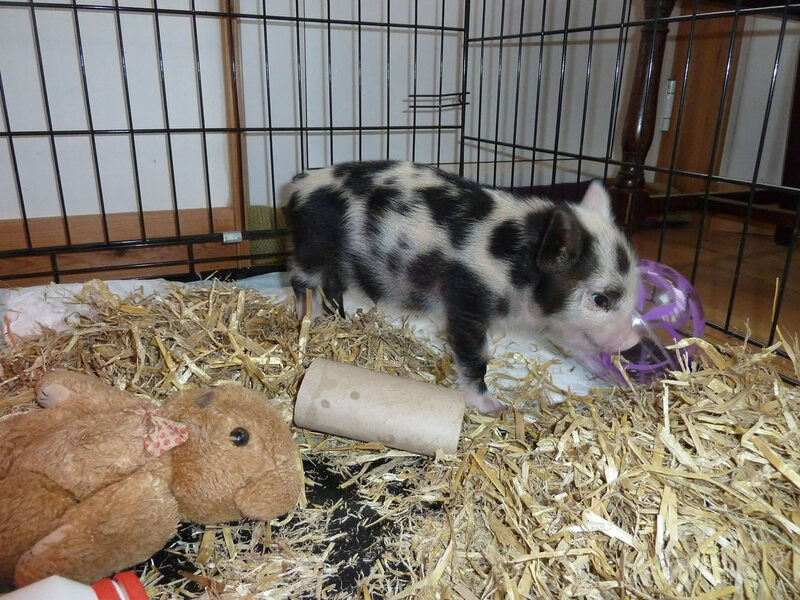 He has always been a sweetheart and continues to be a wonderfully friendly pig. At time of writing he is over 7 years old and enjoying life on the croft with his brother, Buddy. We also have his mum, Gretel, however they are kept separate as the boys (who are both neutered) fight with their mum, which was surprising to me.